CirKus is a 100% French brand created and produced by VDLV. Discover a duo of Apple and Pear. An audacious liquid which will surprise you. The Lemon reveals itself on the track for a sparkling and fruity vape ! 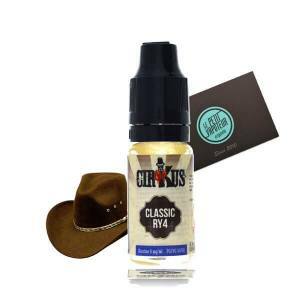 The authenticity of a Classic Blond, A light e liquid, perfect to begin with! A Classic Blond, seasoned with a nicely rounded touch of Caramel.